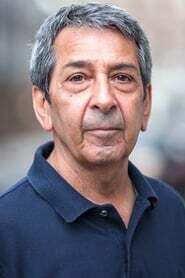 Roshan Seth is an Indian-born British actor, who appears mainly in British and American films. He is best known for his critically acclaimed performances in the films Gandhi, Mississippi Masala, Not Without My Daughter, My Beautiful Laundrette, Indiana Jones and the Temple of Doom, and Such a Long Journey. Description above from the Wikipedia article Roshan Seth, licensed under CC-BY-SA, full list of contributors on Wikipedia. as "The Emir of Hawa"